come from the word "Nahar"
Narnia, as we know, is the ancient name of the italian town now named Narni, and is also the name of that magical land from the " Chronicles of Narnia " the tales of fantasy by CS Lewis . The town of Narni is on the top of a hill that dominates the Nera river . What is less known is that Narni and Nera come from the same ancient word "NAHAR" , which means "river" and Naharna, which means "the river land." The word come from the Indo-european language, and is used in Arabic, Turkish and also Hebrew. For exemple, in the books of Genesis and Exodus "the great river of Egypt", is "Nahar" meaning the "great river " which is the Nile. In addition, in the Holy Bible, "nahar" is used more than 102 times and translated as "The river." But Why did the town Narni take this name ? Narni is situated in the southern part of Umbria, on top of 240 m. hill which dominates the region of Valnerina . The first people came to this area in the Neolithic era. The first writings to come from this area were in 600 B.C., according to the historian, Livius, who wrote about Nequinum (Narni). 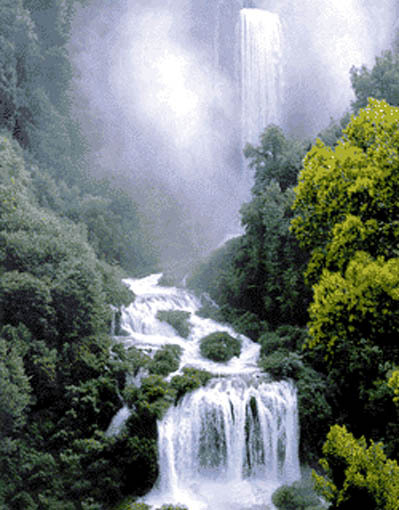 In 299 B.C., the Roman people conquered Nequinum and give it the name "Narnia", a name that came from the river Nahar, based on the Indo-european word meaning "river", which is now the presently-named Nera River. The most important testimony relating to the Umbrian people is constituted by the "Eugubine Tables", which were discovered in 1444, carefully buried under the vestiges of the Roman theatre in Gubbio. The series of sacred texts engraved on the bronze of these famous tablets, compiled between the 3rd and 1st century B.C. in the Umbrian language using the Etruscan alphabet and the Latin alphabet, is a fundamental, or rather, unique, source for understanding and interpreting the Italic languages, as well as an essential document in relation to our historical knowledge of the organisation of the cities, the foundation rites according to which they were governed, the organisation in the territory of the various Umbrian communities, and the relations that existed with neighbouring ethnic groups. It is worth recalling the prayer that the Ikuvini, in other words the inhabitants of the present-day town of Gubbio, addressed to their tutelary gods to protect them from attack by enemy peoples, such as the Nahartes, recognised as the inhabitants of the Narni basin in which the river Nera (Nahar) flows. 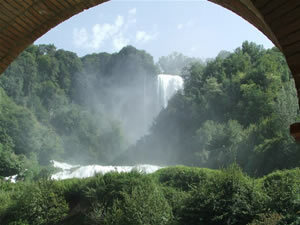 The History on the Nera river and in the Valnerina valley. come from the Narva Culture. The Narva or Narova is a river which drains the Lake Peipus, flowing on the border of Estonia and Russia. It flows through the cities of Narva/Ivangorod and Narva-Jõesuu into Narva Bay, a part of the Gulf of Finland in the Baltic Sea. The Narva Reservoir, a large artificial lake (191 km²), was formed on the river in 1956. The length of the river is 75 km, average width 300 metres and depth 5 metres. 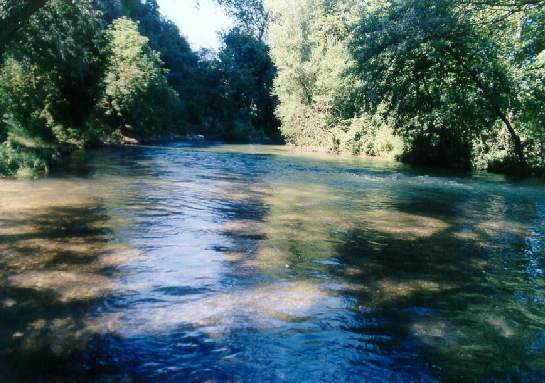 The largest tributary is the Plyussa River. The river gives its name to the Narva culture. Narva culture, ca. 5th to 4th millennium BC, an archaeological culture found in present-day Lithuania, Latvia, Estonia, Kaliningrad Oblast (former East Prussia), and adjacent portions of Poland and Russia. It is said to be a successor of the mesolithic Kunda culture. Named after the Narva River, it encompasses the whole of the European Neolithic down to the start of the bronze age. The technology was that of flint-based hunter-gatherers, with pottery related to the Pit-Comb Ware culture. By the time of the Corded Ware culture, two distinct variants are recognized, one to the northeast, and another in the southwest, with the latter displaying characteristics of the earlier Funnelbeaker culture and then Corded Ware and Globular Amphora cultural elements, all of which may be seen as intrusive, and possibly, short-lived. The northeastern variant seems to have remained largely independent: the impression is that this northeastern version was autochthonous; while nothing can be proven, it is inviting to assume it was Uralic-speaking, and that the present-day Estonians are in some manner descended from it. The southwestern elements, then, can perhaps be identified with the earliest stratum of Baltic Indo-European culture, and ancestral to the Latvians, Lithuanians, and the now-extinct Old Prussians. the river Jordan in arabic language are Nahar al-Urdum; in jewish: Iha-Yarden. Madrid in Spain , are build near the Manza(nares) river . An-Nahar is a very famous news paper. Narew (Old Prussian and Lithuanian: Naura) is a river in western Belarus and north-eastern Poland, a tributary of the Vistula river. With a length of 484 kilometres (36 in Belarus and 448 in Poland) it is the fifth longest Polish river. The basin is 75,175 sq. km (53,873 in Poland). Narew originates in Belarus and flows into the Vistula river in Poland. The part between the Zegrze Lake, where it is joined by the Bug river, and Vistula is sometimes called Bugo-Narew. The name of the river comes from a Proto-Indo-European root *nr primarily associated with water (compare with Narva, Neretva, Neris, Ner and Nur). Did you know that NERIS is one of the two largest rivers of Lithuania? 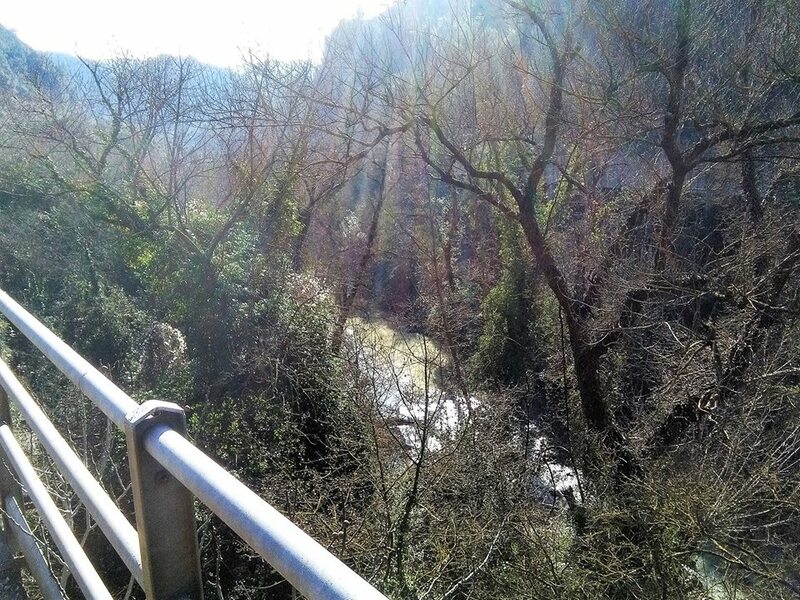 Could there also be some connection with NAHAR, and with the river NERA of Narni? It is one of the ancient Indoeuropean water names related to Lithuanian word NARUS - "deep" and NERTI - "to dive, to swim under water". I do not know much about etymology but here is a little passage about NERIS in "Wikipedia": "Etymologically, the name [Neris] is one of a class of water names, including Lithuanian Narotis, Narasa (rivers), Narutis (lake). These are related to Lithuanian narus, "deep", and nerti, "to dive". More remote connections are obscure, although the root is believed to be Indoeuropean. There are a number of possibilities; perhaps Pokorny's 2nd *ner- "under" (Indogermanisches Etymologisches Woerterbuch, pp 765-766), perhaps Derksen's *nerH-, o-grade *norH- (Slavic Inherited Lexicon), perhaps a relation to the Greek god, Nereus, which may be from *snau-, "to give milk to", in the sense of "flow" . Old Prussian Narus (the Narew), the Nara (near Moscow) and many others over the prehistoric Baltic range. The River Ner flow through the central Polland and go to the Warta . other words for river are Narva, Neretva, Neris, Ner , Nur. in Swiss Nara is a mountain place near Bellinzona. in Australia is a Sea World Nara Resort A number of options are available to travel from the Gold Coast or Brisbane airports to Sea World Nara Resort. The Bang Nara Path Bang Nara River is compared to the vein of Narathiwat Province since all living things have been nurtured throughout the length of the river which stretches along the coastal plains parallel to the sea on the east coast for a distance of approximately 60 kilometers. The river has a water detention area of 1,158 square kilometers and contains an average of 2,383.79 million cubic meters of water each year. It flows past the areas of Muang and Tak Bai Districts, and enters the sea at two locations: directly into the Gulf of Thailand at the river delta in Muang District, and into the Gulf of Thailand through Ko-Lok River at Tak Bai District which is the border between Thailand and Malaysia. Besides, it consists of many tributaries including Ya Kang Canal, Toh Jeh Canal, Klong Chuab Canal and Sungai-padee Canal. II, 8-14 - And the Lord planted a Garden eastward in Eden; and there he put the man he had formed. And out of the Garden made the Lord God to grow every tree that is pleasant to the sight and good for food; the tree of life also in the midst of the Garden, and the tree of knowledge of good and evil. And a river went out of Eden to water the Garden; and from there it was parted and became into four heads. The name of the first is Pishon; that is which compasseth the whole land of Havilah, where there is gold. And the gold of that land is good; there is bdellium and the onyx stone. And the name of the second river is Gihon; the same is it that compasseth the whole land of Ethiopia. And the name of the third river is Hiddekel; that is which goes towards the east of Assyria. And the fourth river is the Euphrates. IV, 15-16 - ... and the Lord set a mark upon Cain, lest any finding him should kill him. Then Cain went out of the presence of the Lord, and dwelt in the land of Nod, on the east of Eden. Nel libro di Ginzberg  Leggende sugli Ebrei i quattro fiumi sono identificati con il Gange, Nilo, Tigri e Eufrate, e si afferma che hanno una fonte comune sotto l'albero della vita. Si identifica il Giardino dell'Eden con il luogo per il quale le anime dei defunti devono passare prima di raggiungere la loro destinazione finale. 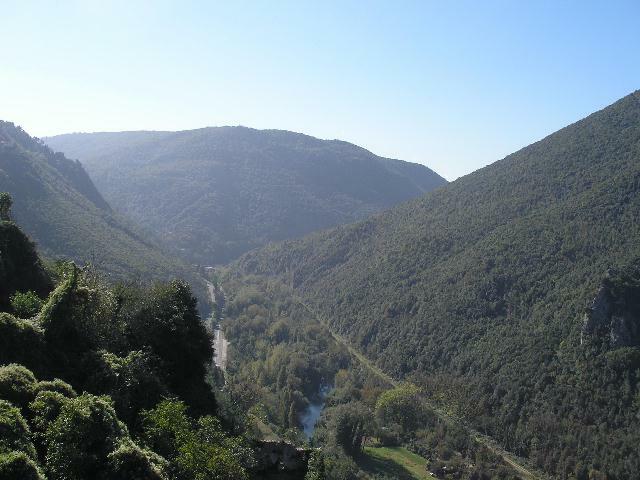 Narnia, which could also be named the "River Land, and the Nera River were very well knowm for the Le Gran Tour" between the years 1700 and 1900.